At this point, you might need a quick recap. On Friday, Telltale Games underwent a “majority closure,” with all but 25 of its staff laid off without severance, benefits, or time to even grab their stuff until later. Then, news filtered out about what was cancelled, what was still being wrapped up by the skeleton crew, and what may or may not happen with The Walking Dead: The Final Season, which we’re right in the middle of. Then the company was sued for possibly violating labor laws. Now, things are getting even more complicated. 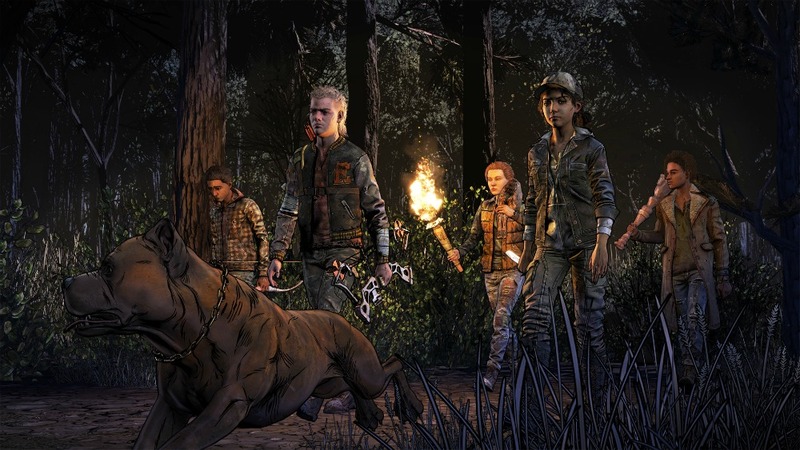 If, through all this, you found yourself curious about the two episodes of The Walking Dead: The Final Season that were actually finished, you’ll have to wait to buy them, as Telltale Games has temporarily (we’ll see) had the game delisted from all platforms. While a demo remains in places like the PlayStation Store, the full game (or season pass) has either vanished entirely, or the option to purchase has. There has been plenty of speculation as to why, ranging from licensing issues due to the closure, or those talks with potential “partners” referred to by the company with respect to finishing the season in some form. It’s anybody’s guess at this point. Telltale has requested a temporary pause of sales of The Walking Dead: The Final Season. For all up to date Telltale news, please refer to their official Twitter page. So, ostensibly, assuming whatever is going on in the background works out, this delisting is only temporary. Obviously, Telltale Games’ catalog largely comprises licensed IP, and that had already led to a delisting right before the closure happened. So it’s possible this could be relevant to the talks the company is having, but there’s no way to know for sure. Like the GOG listing states, keep your eye on Telltale’s official social media for further updates.